@gsmatei and @vzorglub The xpath does not work as it does not address the namespace. there is something missing " : "
@gsmatei and using code fences makes reading the post a lot easier. Sorry for not using code fences. But you have installed the XPATH transformation! 2018-05-07 15:46:22.416 [ERROR] [el.item.internal.GenericItemProvider] - Binding configuration of type 'http' of item 'Info' could not be parsed correctly. 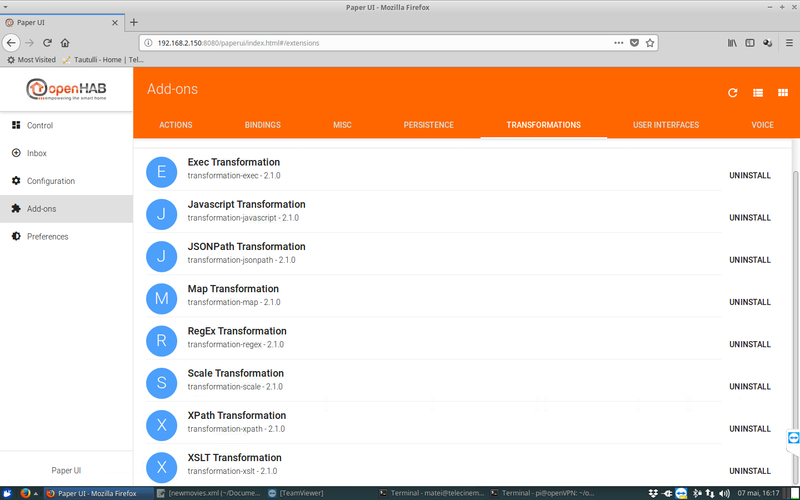 Just as an additional information, there is/was a bug in the label transformation. But it schould be fixed in future reaeases. Thats why the transformation had to be done at the binding which is a better solution if the content of the xml is not needed anywhere else, imho. With the help of this post, I was able to create an Item which returns me the channel name as result, as expected. But how can I add the value that I´m searching for 'ARD' and the desired output value in the field <title>? but doesn’t work can anyone help me please?